The HBVC is made up of students and professionals from all segments of veterinary medicine and animal science who care about bees and beekeeping. Since when did a beekeeper need to find a veterinarian? Are bees even animals? The US FDA considers honey bees a food producing animal. Honey is food afterall. Starting in January 2017, if a beekeeper needs to give their honey bees antibiotics then they will need to have a prescription or feed directive from a veterinarian. How does a beekeeper find a veterinarian that will work with bees? You are in the right spot! Veterinarians, meet beekeepers, and Beekeepers, meet veterinarians. If you are a beekeeper looking for a veterinarian, there is a "Find a Vet" menu button above to take you to a searchable listing of veterinarians that have said they are interested in working with beekeepers. 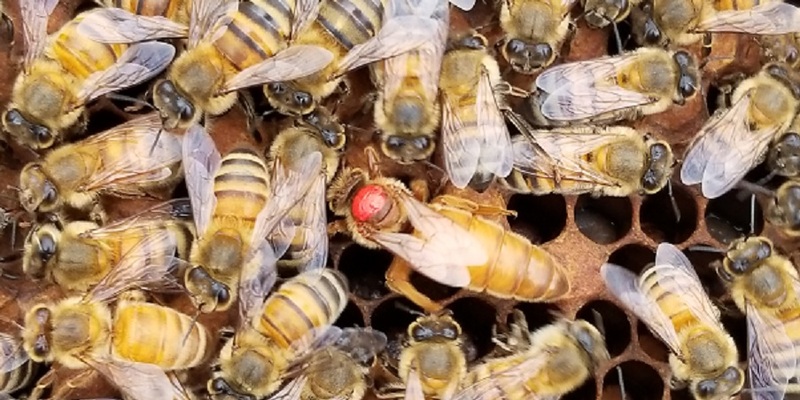 If you are a veterinarian interested in working with beekeepers, there is a "Join" menu button to take you to where you can sign up to be on the list as a veterinarian interested in bees. You will also receive a newsletter and have access to specialized content.